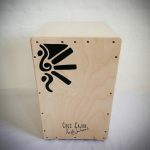 hi …i am from india, i want build my own cajon box , but i dont know which type of wood good for sound quelity , and rosewood is not available in india. so can you help me in this case? 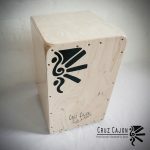 We use finest russian Birchwood for our Cruz Cajon range. Perhaps that will help? But its not just about the wood. Its also about the construction of course, how thick/thin you make the frontbopard, where you put the sound hole etc. You continue to inspire this old goat. 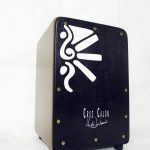 I’m getting to play a lot with friends who appreciate that the cajon does not overwhelm their acoustic sounds. QUESTION: What’s happening with the Lesson DVD? I have a great DVD from Dancing Hands Music (Alan Dworsky) that has helped a lot. But your lessons really help expand my ability. I love them. Very challenging and helpful. And fun..